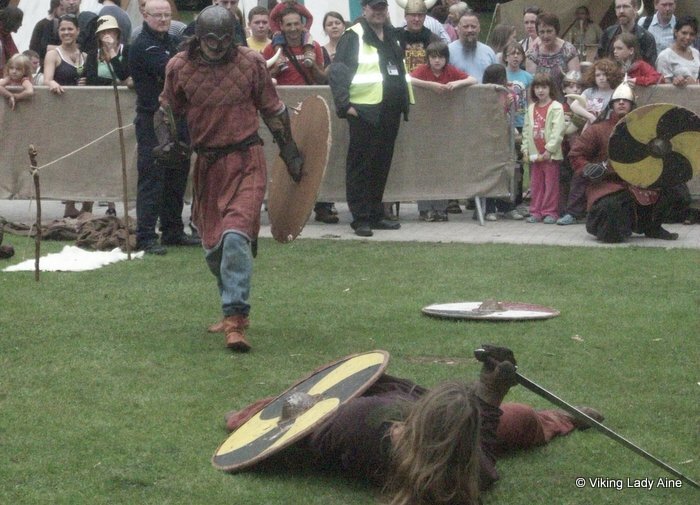 Dublin Viking Festival 2010……… a trip back in time! 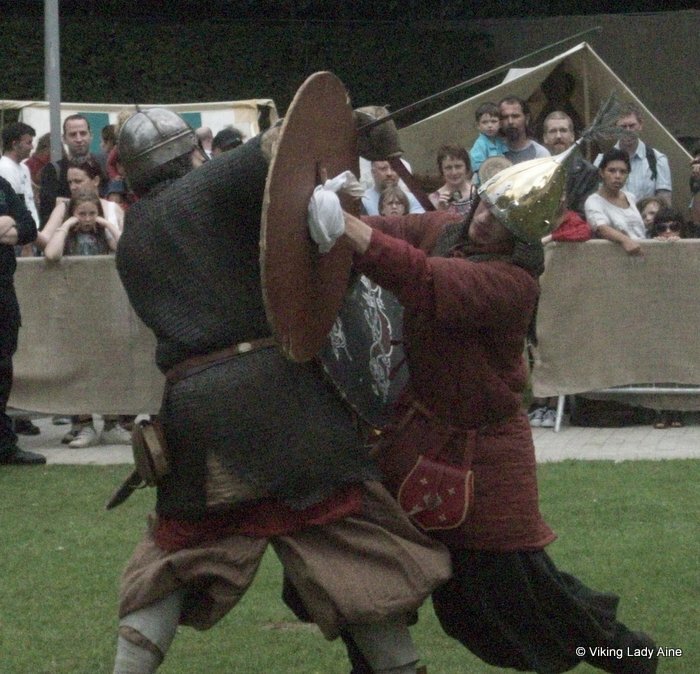 Did you know that Dublin city in Ireland was once a viking settlement? The vikings named their settlement ‘Dyflinn’, probably from the Irish ‘Dubh Linn’ meaning the black pool. The river basin provided an ideal shelter from the fierce storms they would have encountered as they crossed the Northern seas. 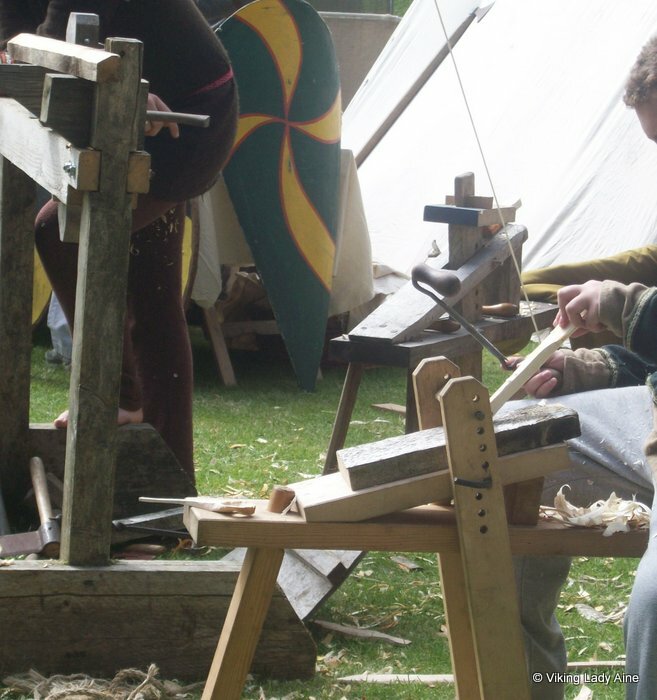 Ireland’s temperate climate and access to vast forests made it an ideal place to over winter, offering the vikings a place to repair and rebuild their longboats during the Viking off-season. But they didn’t just over-winter; they stayed. 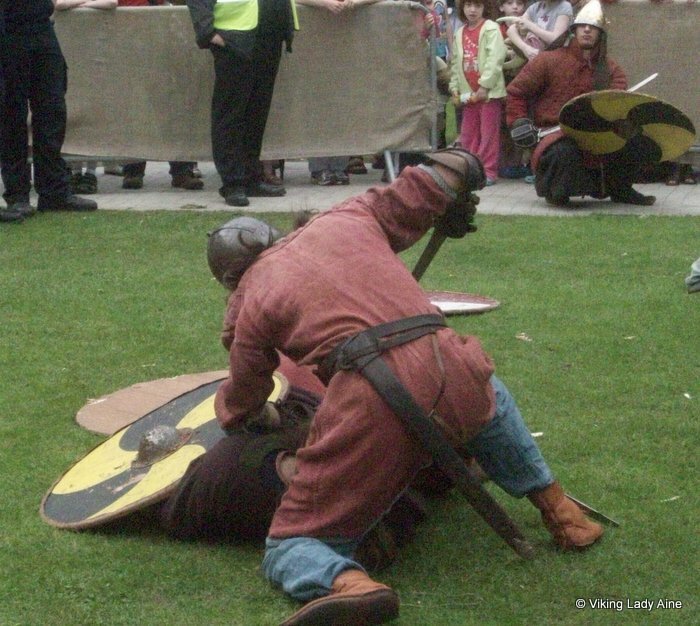 In fact the Norse ruled Dublin until 1014 when they were defeated by Brian Boru’s army at the Battle of Clontarf. 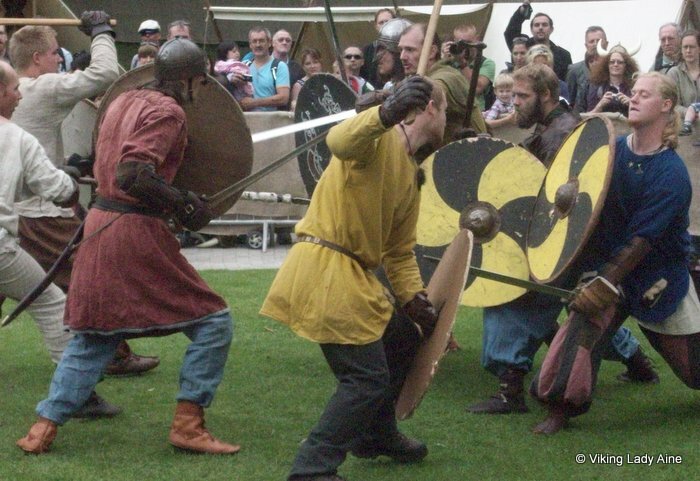 In 2010 we were privileged to attend a Dublin Viking Festival organised by Dublin City Council and Fingal Living History Society at Wood Quay. The location was the grounds of the Dublin Corporation offices, just beside Christ Church Cathedral. Between 1974 and 1981, the site was excavated extensively and revealed a complete viking settlement with over 200 houses. 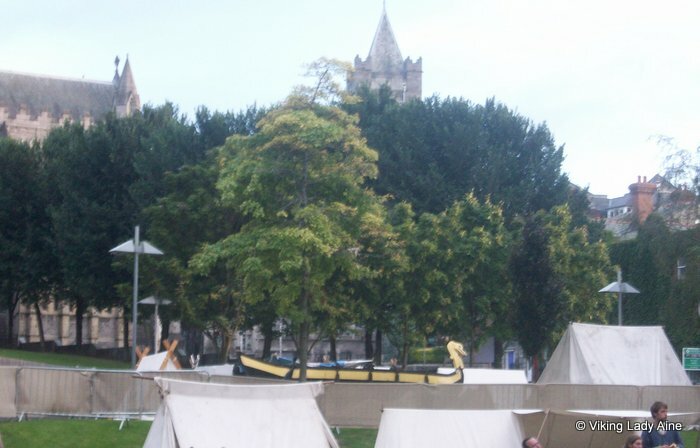 The finds from the excavations are on display at the National Museum of Ireland, and the remains of the old city walls are still visible on the Wood Quay site. 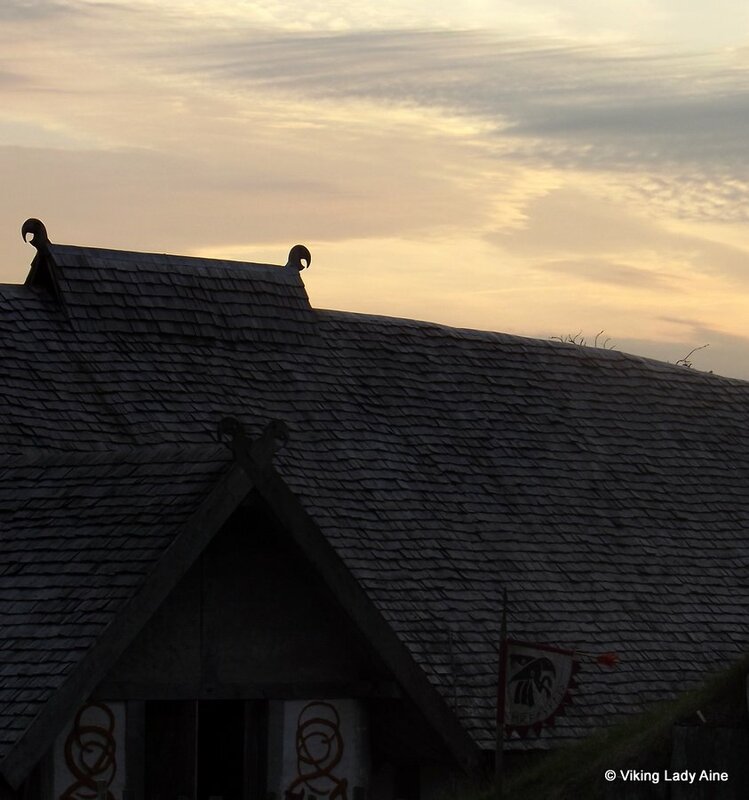 I have to admit I was thrilled when we said we would go; we would get to do an event on an actual viking settlement site (albeit 1000 years after they were there!). The show proved to be truely international, with Irish, English, Polish, German and Danish re-enactors taking part. 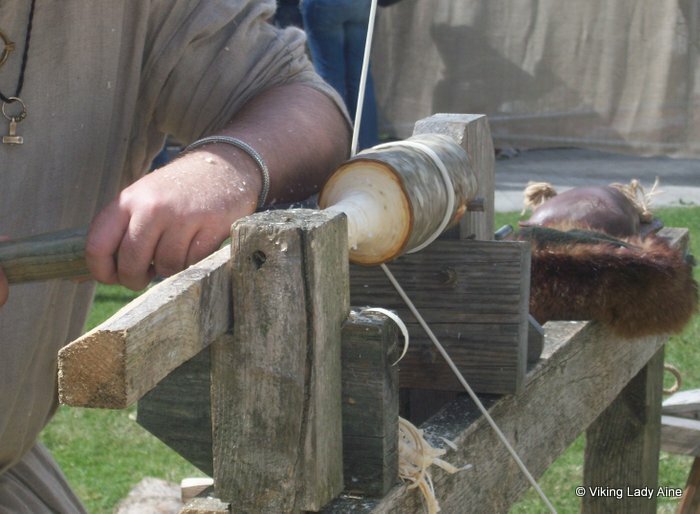 The event followed the usual routine; a living history village showing the various crafts and skills that the vikings practiced and fight demonstrations. 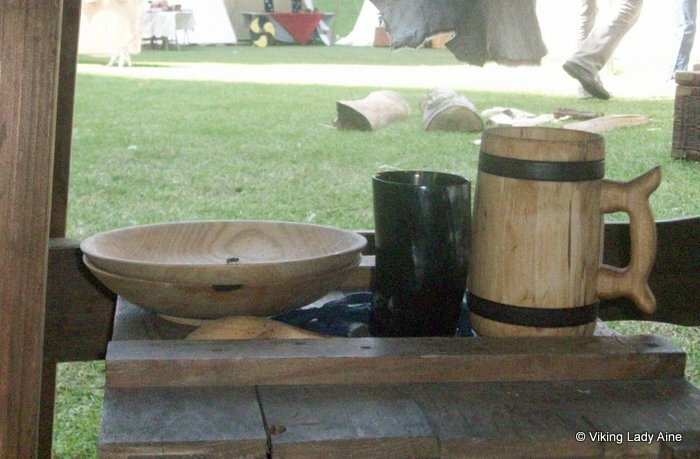 For more information on what Fingal provides as a living history display you can click here. 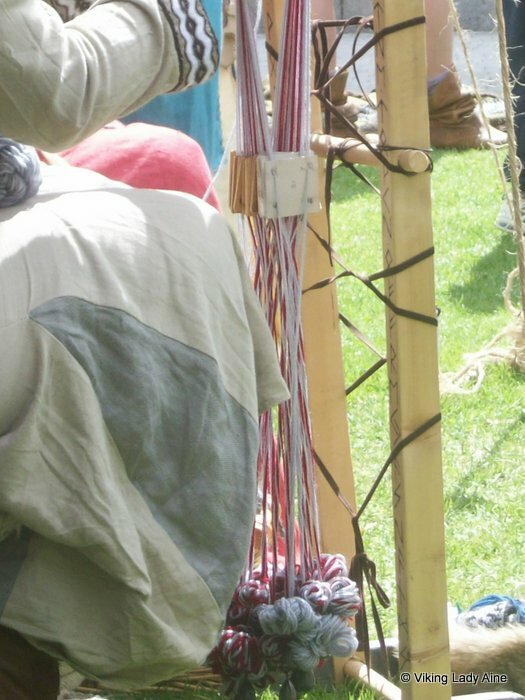 The handcrafts included tablet weaving, nalbinding and woodcarving. 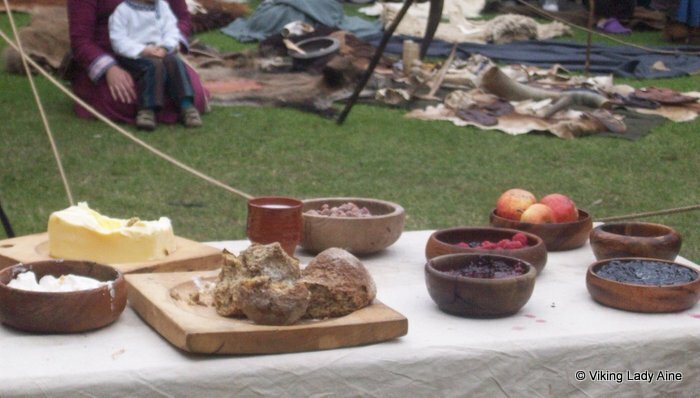 There was also a kitchen display to show what the vikings would have eaten, and how they would have cooked. All the displays were interaction driven; as living history re-enactors we love people to ask questions so we can explain what we are doing. 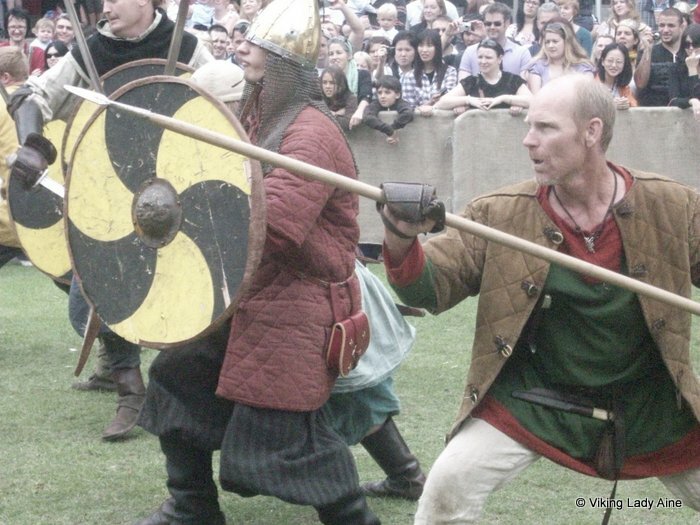 The fight demonstrations were as spectacular as always; it was great that we had the international element to the displays, as it gave our Irish vikings a chance to pit their skills against these modern viking invaders. The weapons used are metal but blunt edged, and are recreations of actual weapons that have been found during archaeological excavations. 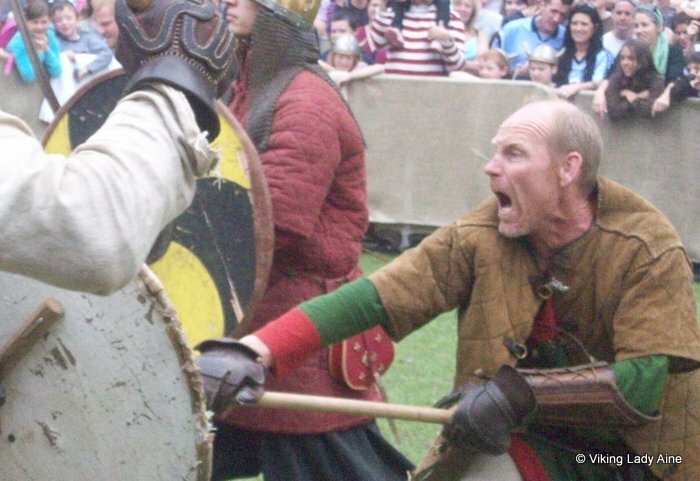 Most fighters seem to prefer using swords; to be honest, in viking times only the most wealthy warriors could have afforded to own a sword. Most would have used either an axe or a spear. 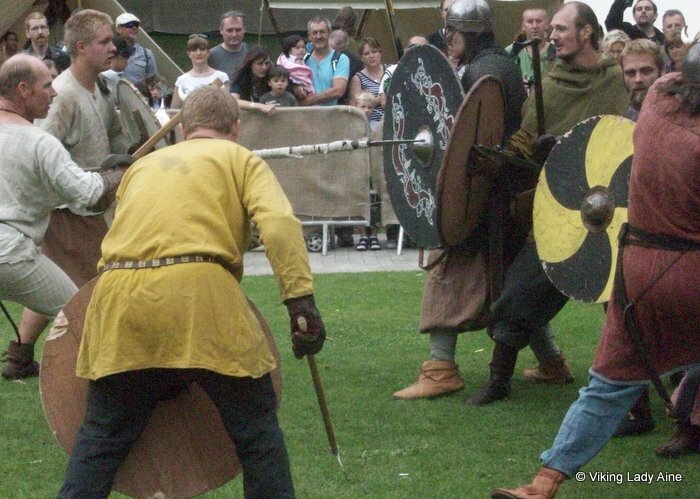 To be allowed to combat on the re-enactment field, these fighters would have trained for months beforehand, and there is usually as assessment before they are allowed to participate. Modern day health and safety rules all events!! As you can imagine, there is a lot of ‘acting’ on the battlefield when the time comes to die! 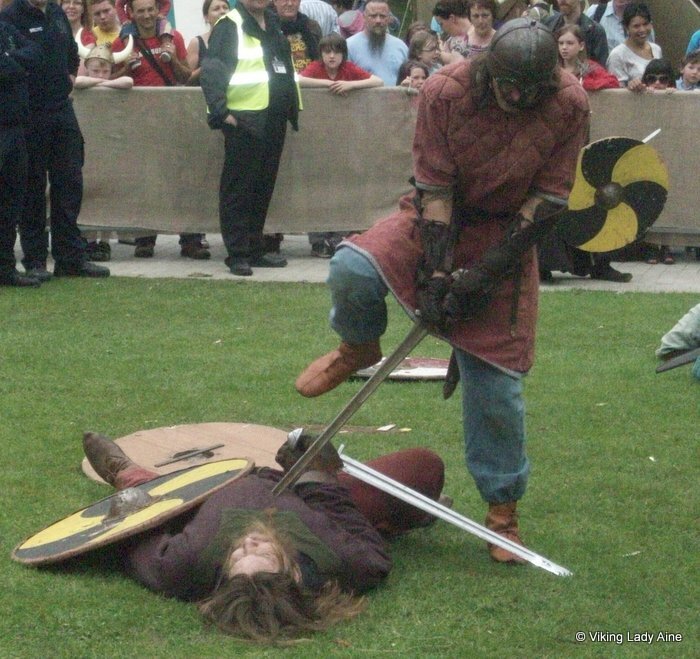 And here’s a thought; in 1014 Brian Boru defeated the vikings at the Battle of Clontarf. Wouldn’t it be great if there was an event in 2014 to celebrate the 1000 years since the victory? 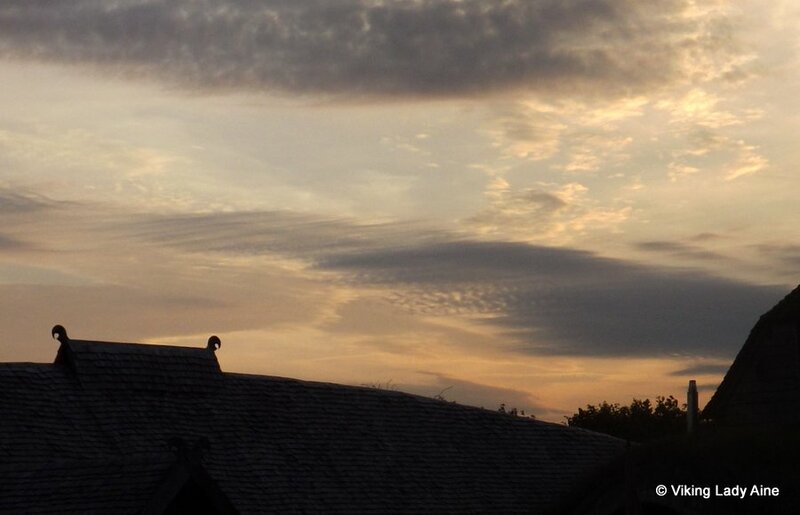 There is one planned; hopefully that event will take place……… looking forward to it already! Posted on February 17, 2013 March 21, 2013 Categories Viking AdventuresTags Clontarf, Dublin, Fingal Living History Society, Ireland, National Museum Ireland, norse, Re- enactment, Swords, Viking, Wood QuayLeave a comment on Dublin Viking Festival 2010……… a trip back in time!